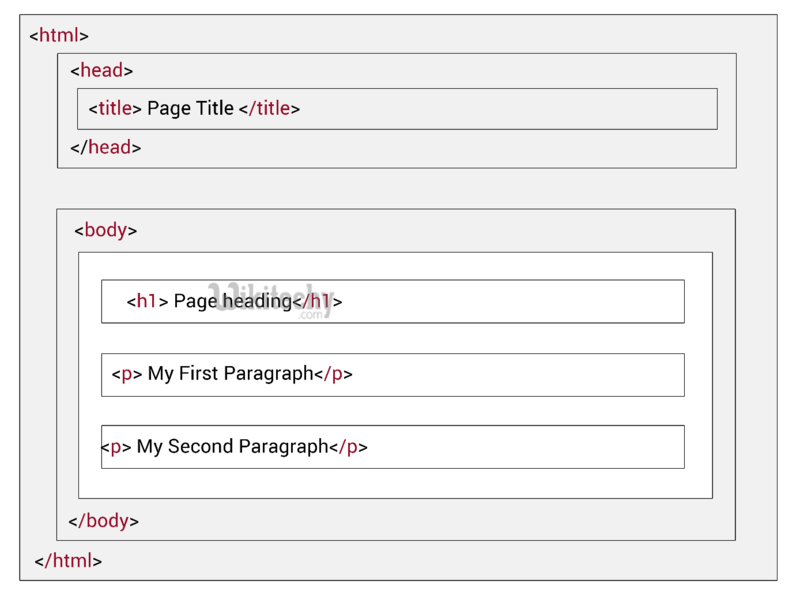 All HTML documents have a required structure that includes the following declaration and elements. They are <html>, <head>, <body>. Inside the <html> element the <head> element identify the top of the document which includes the metadata information of the page. The content within the <head> element is not displayed on the webpage. All the content of the webpage was given within the <body> element. Note: Only the content inside the <body> (the white area above) is displayed in a browser.